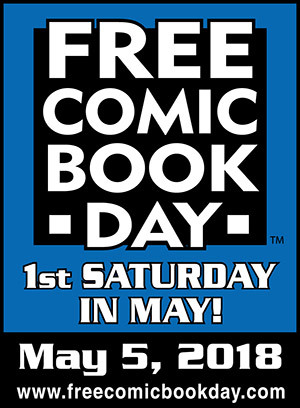 Free Comic Book Day is a day when participating comic book specialty shops and libraries across North America and around the world give away comic books absolutely free to anyone who comes into their shops and libraries. Costumes are encouraged, but not required. Comics will be handed out 10 a.m. to 12 noon or while supplies last! While we hand out comics, we’ll also be hosting a cosplay challenge. Using art supplies and reclaimed materials, participants will be challenged to create a cosplay in a hour or less. After the event, pictures of the cosplays will be posted to the library’s Facebook page, and the picture with the most “likes” wins a prize. All skill levels are welcome. No charge for admission and open to the public. This event is sponsored by the Colby Center for the Arts and Humanities.